Victory House leadership celebrates a success story! Since its creation in 2010, Victory House has offered hope and extended the message of Christ’s love to over 150 women in need. 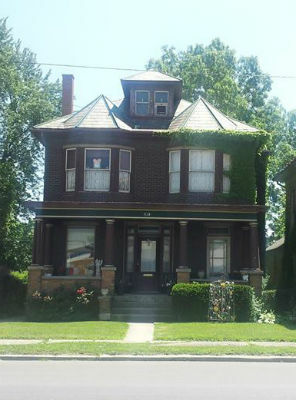 Victory House, which is hosted by Destiny Life Center, a Church of God congregation in Fort Wayne, Indiana, serves women in transition by offering them temporary housing and advancement opportunities. In addition, Victory House provides the chance to grow closer and delve deeper into God’s Word. In 2010, Destiny Life Center answered God’s call to offer assistance to these women in need and began working on the concept for Victory House. In 2011, the decision was made to incorporate “emergency short stay” into the ministry for women who were in need of a safe place to stay before getting back on their own feet. The ministry continues to offer transitional housing for women who do not have anywhere safe to turn to. “The house is where I used to raise my own children, who are in college now,” said Senior Pastor Karen Staton, whose parents founded Destiny Life Center, formally known as Victory Fellowship Church. 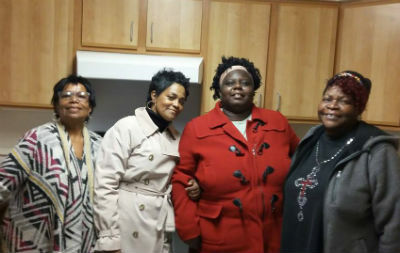 According to Pastor Karen, the transitional housing program makes it “easier to monitor treatment and well-being” of the women being ministered to. 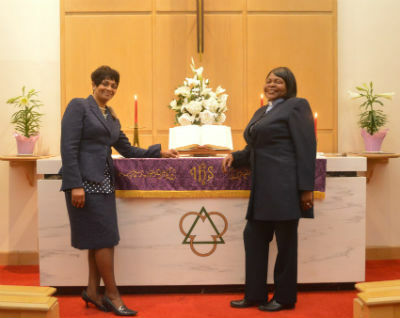 Destiny Life’s dynamic duo – Pastors Karen Staton & PattiJae Jimerson! Destiny Life Center is looking to build off the success of Victory House to create a ministry that would cater specifically to single men in need. Inspired by the women’s ministry, this effort will be titled Destiny House. In Indiana, across North America, and around the world, God is on the move in the Church of God. Join the movement. Reach our world. Donate today at give.jesusisthesubject.org. This entry was posted in All Church of God, Give Life, Great Lakes and tagged deliverance, Destiny Life Center, Fort Wayne, homelessness, IN, Indiana, Karen Staton, Noel Marquis, PattiJae Jimerson, poverty, prevention, rescue, social services, transitional housing, Victory House, women in need, women in transition, women's ministry. Bookmark the permalink.